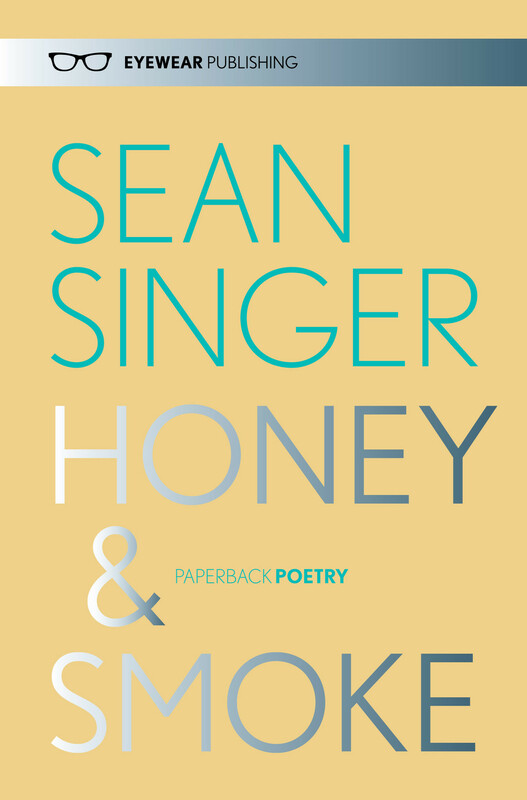 Sean Singer’s newest collection, Honey & Smoke vibrates. Like in his first book, Discography, the winner of the Yale Series of Younger Poets Award (2001), light refracts into sound, emerald and violet have tones, and all modes converge, synesthetically, into music. Both books are sonically and formally stunning; Singer’s newest book has ripened into a new idiom, through darkly funny collage. Enter here for disassembled instruments, where piano notes turn into heliotropes; for sprawling biographies of intellectuals and their afflictions (‘and the body shrinks from/ annihilation’); for films looping into jazz. The collection is daring, perturbing, gorgeous, and weird, timbre to timbre to timbre. Singer was born in Mexico in 1974. Discography was selected for the Yale Series of Younger Poets Prize by W.S. Merwin and later won the Norma Farber First Book Award from the Poetry Society of America. His second book Honey & Smoke was published in London by Eyewear Publishing, and he has published two chapbooks with Beard of Bees Press, Passport and Keep Right on Playing Through the Mirror Over the Water. 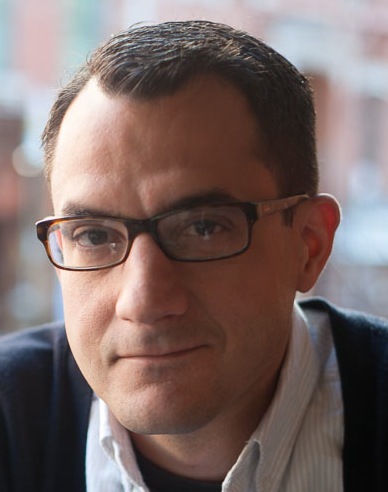 He is the recipient of a Fellowship from the National Endowment for the Arts and holds a Ph.D. in American Studies from Rutgers-Newark. He lives in Harlem and drives a taxi for Uber. Tell me about the relationship between color and sound in your poems. I never thought about their relationship before, but someone said that “writing about music is like dancing about architecture.” They’re conflicting streams of data. And you can’t really evoke music through language, which is static and inert. In fact, song lyrics work because their other half is the music pushing it forward. The other half of the language in a poem isn’t sound at all… it’s silence. It works by giving shape and meaning to the silence, the white part of the page. That’s what the reader has to contend with. Maybe one way I’ve tried to suggest sound is through color. Black, for example, can connect various threads of unrelated poems since they exist in related emotional spaces. My book begins with a black eyelid and ends with a black wolf exterior. There may be ways to address questions I don’t know by using color. You summon Kafka, Camus, Freud, Bruno Schultz, Scott Joplin, Hank Mobley Ken Burns, and other intellectuals and artists into your collection. How do these particular individuals’ processes of making and thinking relate to your own? My subject is often the meaning of creativity, or the process of making a piece of writing, or a piece of art. The figures you mention are sometimes characters through whom I can talk about the project of writing, the project of making poems, and the questions of being a writer or an artist. I resist the first person singular and would like to make a poem where there almost is no speaker at all, or a minimal one. Perhaps these figures are masks or voices through which I can let the speaker come through. I’m interested in how bodily frailty manifests in the book — whether through illness or defect. Talk about the role of the body in this collection. Again, you’ve touched on something I never considered. Being stuck inside a body is awful, and it inevitably breaks down. I can’t pretend at 40 that I’m the same, physically, as I was 20 years ago. I used to drink all night, stay up all night working. Now, after one or two I want to collapse. If you paid me a million dollars and gave me six months to practice I couldn’t touch my toes. Forget it. Maybe one of the reasons for a poem to exist is to try to get some permanence to what could otherwise be impermanent. On the other hand, life is almost too long for most people. Right now there are elderly people complaining about buffet tables and playing shuffleboard on cruise ships. They’re waiting out the clock. I never want to talk about myself in a poem, but Kafka, for instance, was a perfect subject through which to address it. Newark is something of a character in this book, and also a portal into the violence and racism in America. How does Newark — as both actual place and as conceit — become New Ark in your own imagination, “the coils heat and reveal the rune: Newark renews” ? I worked and taught in Newark for five years when I was working on my Ph.D. and my dissertation is a sort of cultural history of Newark. When I first came there, in 2008, I knew next to nothing about it. But the more time I spent there and read about it, and found many artists– Lynda Hull, Amiri Baraka, Helen Stummer, Grachan Moncur, Sarah Vaughan, Wayne Shorter, etc.– whose work was made in and about Newark, I realized that Newark is almost mythological. It’s a metaphor for everything great and wrong with America. It was deliberately over many decades made the way it is by all sorts of converging policies: highway policies, transportation policies, education policies, real estate policies, the manufacture of Agent Orange, and other forms of the apartheid system that we normally associate with the South. If people had paid attention to Newark, then the recent tragedies in Ferguson, Staten Island, Cleveland, etc., etc. would not have been surprising. If possible, I want poems to have a moral center, and to demand an ethical reaction from a sensitive reader. Newark is one of those things that is a mirror we hold up and see the disgusting monster we’ve deliberately created out of hatred and racism. However, some of our greatest artists were from there. At the exact moment that many social scientists were saying there was nothing in Newark worth saving, the artists I mentioned were making art there. I find it ironic that Baraka, the writer who is most associated with Newark, a city that is incapable of change, is the figure who changed his entire outlook several different times. He began as LeRoi Jones, a Beat poet; then became Amiri Baraka, a Black nationalist; then a Third World Marxist; and then as a sort of elder statesman. He was capable of change and revision, which is more than most of us can do. New Jersey is sort of like Ireland– a small place, but it has a high density of artists. Baraka was one of the best, but there were many others no one knows about. Tell me about opening, momentum, and closure in the book. How did you consider the balancing of so many different forms, including prose? For me, form is everything. I’m in search of the form before the subject. When I was writing my dissertation, I had to teach myself how to write academic prose instead of a poem. Academic prose is about taking things apart, and poems are about metaphor, or putting things together; so, they’re exact opposite projects. I wondered about long lines and long forms; how long could I make a line while still keeping it lyrical? I wondered if I could either destroy a genre, or create a new genre by mixing lyric poetry, essay, and long lines. I wrote the book over about 12 or 13 years, so I don’t remember exactly what my thinking was when I made some of the forms, or why. One of the only benefits to writing is having freedom. I like being able to write in whatever form accomplishes the poem, even if it’s 116 long couplets about the 19th century whaling industry. I don’t know if the book has momentum. I know it’s a dense book, and can only be read slowly and in short bursts. It demands a lot from a reader. Couplets are interesting because there’s nowhere to hide; the lines need to be balanced with each other, and need to propel the reader to the subsequent couplet. They can have horizontal energy, but the vertical energy is harder to do. The fragment and collage form work to discuss a subject like Newark because Newark has been so fragmented. It can be a way to allow divergent voices to come through and still be a whole. In between your first and second book, you had two children. How has fatherhood impacted you as a poet? My writing schedule before children was more vigorous. I could stay up all night and was focused on writing more. I was more ambitious. My ideal schedule was to write for hours every day. My actual schedule was probably more sporadic, but I would write poems for years, do research for poems, and read a book a week. All that’s changed because children force you to live in the present moment. However, children being happy is more important than writing a lot. The world doesn’t need another poem. But if they’re happy then I’ve done something important. That said, I would like to increase my output to one or two poems per year, but it might not be possible during this period of my life. I drive when they’re in school, then stop when I have to pick them up from school. Then I make dinner and by the time they’re in bed I have to go to bed, or if I don’t, I often drive again at night. I may make a poem again, or I may not. I always think each poem is my last poem. Tell us what’s next. Lately, you drive a cab in New York city. What kind of sensibility from that world might find its way into your poems? I’m on the street driving between 8 and 10 hours a day. I drive people from all walks of life, from all over the city and the world. I never know who they are, what their state of mind is going to be, or where we’re going till the trip starts. I could end up in Greenwich, Connecticut, or an industrial part of Queens. Robert DeNiro’s taxi driver in Taxi Driver was right… people do treat you like you’re invisible when your’e a taxi driver. Sometimes I drive genuinely friendly people, and other times they can be very abusive to me, very rude or even hostile. Whatever it is, I just let it go, like the song from Frozen says. Driving is 10% physical and 90% mental. I try to focus on the job since I’m responsible for the passengers’ safety. I suppose a sensibility that might find its way into poems is one of unpredictability, danger, the motion of the city. Ultimately, the job entails smooth steering inputs and smooth braking inputs, and knowing the most efficient route to the address where the person wants to go. I’m not a chatty driver; I usually only speak unless the passenger asks me a direct question. I want to save my emotional reactions for the poems. Our Spotlight interviewer is contributor Nomi Stone, whose first collection of poems, Stranger’s Notebook, was published by TriQuarterly in 2008. She is currently completing Kill Class, a collection about war games. For original poetry, fiction, art song, art, and more interviews, please visit our magazine at www.memorious.org.